JOHN: Surgeon of Plymouth. Married (September 1640) Joanna daughter of Nicholas Blackaller, in Dartmouth. She was born in 1618. John ceased medical practice in 1670 due to palsy and died of jaundice and colic on 13 October 1679. Joanna died 21 June 1700. Joanna’s father Nicholas was born in 1589 and married Rosamund Balsman, possibly of Sharpham Devon, in 1611. JOHN: Surgeon. Born after 1640. Married (2 December 1662) Anne Edgcomb of Devonport, who died June 1668. In 1670 John went as ship’s surgeon to India in the East India Company ship the Zant Frigate under Captain Parrick. He died of consumption, 14 December 1670 on the return voyage at Balasore, south of Calcutta, and is buried there. The English settlement of Balasore was founded in 1642. JAMES: Surgeon and physician. Born 27 February 1647; and baptised 11 March 1647 at St Andrews Plymouth. He was educated at PlymouthGrammar School. He was apprenticed to Sylvester Richmond of Liverpool, who was surgeon to the ship-of-war Constant Warwick (1657); surgeon's mate to the Montague (1661-1662); assistant to Mr. Clark, a surgeon-apothecary in Wapping, London (1662); assisted in his father's practice in Plymouth (1663); traveled to Newfoundland as surgeon of the Reformation (1663); visited the west coast of Africa and the Mediterranean in the Bonaventure (1664); captured by the Dutch and held prisoner in Amsterdam (1665-1666); practised in Plymouth (1666-1668); returned to Newfoundland (1668-1670); and then settled in Plymouth, where he practised as a surgeon and later as a physician (1670). He married (28 March 1671) at St Andrews, Plymouth, Jane Crampporn, daughter of Thomas Crampporn of Buckland Monachorum and his wife Katherine nee Westcomb. After the death of Thomas she remarried and took the name of Trout. Surgeon, Naval Hospital, Plymouth; Deputy Surgeon-General to the Navy (1674); Surgeon to Lord Bath's Regiment of Militia (1685-1689). He was a noted surgeon for his day and wrote several medical works including using turpentine for the treatment of haemorrhages and trepanning. Embalmed the body of Sir Cloudesley Shovell nine days after his death on the HMS Association (1707). Member of the Company of Barber Surgeons (1692); Alderman (1693) and Mayor of Plymouth (1694-5); admitted to the Royal College of Physicians (1702); Elected member of Royal Society (3 November 1702). Jane died of pleurisy on 25 November 1708. James died, 25 July 1721, and was buried at St AndrewsChurch, Plymouth. A monument to him there was destroyed by bombing in WWII. His net worth was estimated by his son James in 1718 at £21,000. Originally a non-conformist, he later became a stout Anglican and establishment figure. It is possible that because of a dispute with his brother L5 Nathaniel, over the monarchy, he changed his name to "Yonge." Famous for his journal, he also wrote a history of Corporation of Plymouth and various political tracts. SAMUEL: Born in the same year as L3 James. Matriculated LincolnCollegeOxford, 15 March 1666. M.A. Married (December 1678, in Bristol) Dorothy Stubbs, daughter of Henry Stubbs, a non-conformist minister, with a dowry of £500. Moved to London. Died 30 April 1707, aged 60. A controversial and radical non-conformist preacher and minister who was imprisoned for his beliefs. Wrote many religious works. NATHANIEL YOUNG: Born 16 April 1654 and was the youngest brother of L3 James. He married (23 December 1678) Joan(na) Tollar (Trefrey) of Fowey Cornwall. Appointed Assistant Alderman and Recorder of Plymouth (1692 to 1693). Died of "a scorbic asthma", 14 March 1698. He used or adopted the spelling "Young" for his surname. ANN: Sister of L3 James married (25 April 1665) Christopher Crimes (Cryme) of Gratton, Devon at St Andrews Plymouth. Christopher died November 1668 and she remarried, February 1669, Richard Walter, and moved in 1672 to Truro Cornwall. Richard died 1674 and Ann in 1693. JOHANNA: Youngest sister of L3 James; married (30 November 1680) George Tollar of Fowey Cornwall, at St Andrews Plymouth. Married secondly (1693) Captain Henry Barton, Royal Navy. JOHN: Eldest son of L3 James Yonge, born 7 January 1672. Went to school in Tavistock. Married (1693) Dorcas daughter of Captain George Matthew Royal Navy of Stonehouse, Plymouth. Surgeon. On his marriage his father found a position for him at Plymouth Dockyard. One stillborn son (1696). Died, probably of tuberculosis of the spine, 31 July 1697. JANE: Born 18 July 1674. She was scalped (1678) when a sledge with five barrels of beer ran over her. Jane died of smallpox 28 June 1679; most of the rest of the family got the disease but all the others recovered. ELIZABETH: Born 28 March 1676 and died 26 August 1694. Cause of death said to be "lethargy." JOHANNA: Born 3 September 1677; married (28 December 1694) Samuel Harris, clothier of Plymouth and had five daughters. Her father L3 James set her up in business on her own account when Samuel died. JAMES: M.D. Born 11 September 1679. Nearly died of a “spotted fever” May 1689. Married, (9 March 1703) Penelope, daughter of Canon Ven. Nicholas Kendall and his wife Jane (née Carew) of Pelynt, Cornwall. She died of consumption in 1708. James married secondly, (25 September 1718) Mary, daughter of John Upton and his wife Thomasina (née Fortescue). She was born in 1694 and succeeded to a half share in Puslinch in 1709 on death of her grandfather. Through this marriage James acquired land at Coombe and Colebrooke, Devon. He had built the present house of Puslinch between 1720-6. He bought the patronage of the living of Newton Ferrers from the Duke of Leeds for £1000. He died, probably of a stroke (1745); Mary died 1771. KATHERINE: Born 3 August 1684; died of Spotted Fever, 12 February 1685. CATHERINE: Born 30 June 1688. Attended Mrs. Woodcock's girls school, Chelsea in July 1701. The School was founded in 1694 by a Mr. Woodcock (who died in 1710) at Shrewsbury House. It was then continued by his widow. It was fashionable at that time for rising gentry to send their daughters to schools in Chelsea and other outer London villages. WILLIAM (YOUNG): Captain Royal Navy. Born 23 May 1687, son of L5 Nathaniel. Married Susannah Walker by 1717. Died about 1762. JAMES (YOUNG): Born 17 March 1699. Believed to be an official in the Admiralty. Living in Plymouth 1725. ELIZABETH HARRIS: Born 30 May 1696, lived for a time at Radford in Plymstock (about 1746). JANE: Born 1 December 1703 and probably died the same year. She was the first of three children of M7 James Yonge and his first wife, Penelope Kendall, all of whom died in infancy. PENELOPE: Sister of N14 Jane; born 27 October 1704, and died 11 June 1705. NAME UNKNOWN: Son of M7 James Yonge by his first wife, Penelope Kendall. Born 6 July 1707, and died 30 May 1708. JAMES: Born 18 July 1719. Matriculated at Exeter College Oxford aged 17, 2 April 1737. Died 1739. JOHN: Born 17 October 1720. Matriculated Exeter College Oxford (2 April 1737) aged 16; BA (1740); FellowAllSoulsCollege; MA All Souls (1744). Rector and patron of Newton Ferrers (1752-7). He succeeded to Puslinch. Married (1746) Elizabeth Duke of Otterton, Devon, one of the daughters and co-heirs of George Duke and his wife Dorothy née Eyre (Ayre), of The Old Hall, Colaton Raleigh, Devon. Following his death on 29 May 1767, Elizabeth lived at Widey and Egg Buckland; she died in 1790. The family of Duke was one of oldest houses in Devon being descended from the marriage in 1377 of John Duke of Otterton and Cecilia, daughter and heir of Roger de Poer of Poer Hayes. Through the Duke family there is a link with Edward IV. There is also a link with the Coleridge and Patteson families through the Dukes. Duke has proved a very popular family Christian name since then for both the Coleridges and the Yonges. CHARLES: Born 20 Feb 1726. Married Thomasina Worth (1767) who died in 1796. He was instrumental in setting up the Plymouth Public Dispensary in 1798. When he died (1807) he left £1000 in his will to Plymouth Public Dispensary which was used for the erection of a new building which was opened in 1809. The building still exists and is still used for medical purposes. The aim of the Dispensary was to provide “gratuitous medical relief of poor persons who are unable to defray the expenses of procuring advice and medicines for themselves, and who are not in receipt of parish pay.” Its origins lay in the Plymouth Medical Society, which was founded in 1794 largely at the instigation of Doctor Robert Remmett and Charles Yonge. JAMES (YOUNG): Born 15 November 1717. Married first (1747) Elizabeth Bolton by whom had five children including P51 William; and secondly (November 1762) Sophia the daughter of John Vasmer, by whom he had two children, including P53 James. Joined Royal Navy as midshipman (1737); lieutenant (9 March 1738); post captain (16 May 1743). Appointed captain of Intrepid and was blamed by Admiral Byng for inconclusive engagement at the battle of Minorca, 20 May 1756. Captain of the Mars, 74 guns (1759); Rear Admiral of the Red (1760); Vice Admiral of the White (28 October 1770); Vice Admiral of the Red (31 March 1775); Admiral of the White (1778). At the start of the American War of Independence he was appointed to the important base of EnglishHarbour, Antigua, Leeward islands. He died at his home in RichmondBuildings, Soho, London, 24 January 1789, and buried at St Anne's Soho. William (YOUNG): Brother of N51 James and died in his brother’s house in January 1789. JOHN: Priest. Born 1747, the eldest son of N18 John Yonge and Elizabeth Duke. Matriculated PembrokeCollegeOxford (5 May 1766). After much hard work his father on rather dubious grounds obtained the Rous scholarship for him. He was rector of Newton Ferrers (1771-2). He succeeded to Puslinch. He married (1771) Jane Ellicombe or Elliscombe of Alphington, Exeter, Devon. He was killed falling from his horse whilst out hunting with his hounds on 9 June 1772, which is well out of the hunting season. He died childless. JAMES: Born 1748. Younger brother of P1 John. Matriculated Pembroke College Oxford aged 23 (23 November 1772). Succeeded to Puslinch. He was Rector of Newton Ferrers from 1774 to his death. Married first (about 1780) Anne Mudge, daughter of the Reverend Zachary Mudge D.d. of St Andrews Plymouth; Anne died in 1783. James married secondly (1787) Anne, daughter of Edward Granger of the Castle, Exeter. James died 5 December 1797; Anne, his second wife, died 2 November 1839. DUKE: Born 3 December 1750. Went to the free school in Plympton and studied medicine at Plymouth. Matriculated University College Oxford (22 November 1771); Initially studied medicine at Plymouth then trained as a priest after his eldest brother died in 1772. BA (13 June 1775); BA incorp from Oxford, admitted pens at SidneySussexCollege, Cambridge (10 June 1782); MA (1782). Curate of Charles Church Plymouth (1774), curate of Yealmpton (1776-82). Vicar of Otterton Devon (1782-93); then of Cornwood, Devon (1793-1823); Rector of Newton Ferrers (1798-1808); and vicar of Sheviock, Cornwall (1808-1823). Magistrate. He married Catherina Crawley (12 March 1777) at Flaxley, Gloucester. She was daughter of Thomas Crawley-Boevey, first Baronet of Flaxley Abbey, Gloucestershire, and Susannah Lloyd. Catherina was born 25 April 1753 and died 9 December 1842. It is through her that the family has a link with Edward III and the Huguenots. Duke had six sons and four daughters; all survived to adulthood except one son. He instituted the ‘Yonge’ charity for the inhabitants of Cornwood (17 September 1811) which still operates. Author of devotional works. Died 3 December 1823. ELIZABETH: Born 4 July 1756; married (1777) Philip Morshead of Widey Down. DOROTHY AYRE: Born 30 May 1758, married Lt. Col. Samuel Archer of Treslake, Cornwall. The Archers also married both into the Bond and Morshead families, and these families also married into the Yonges - an example of the multiple interconnections between gentry families in this period. WILLIAM (YOUNG): Born 16 August 1751 and baptised at Rickmansworth, Hertfordshire. He joined the Royal Navy and initially served under his father in the Leeward Islands (1775). Captain (23 September 1778); present at the occupation of Toulon (1793). His ship was badly damaged in an attack of the fortress at Mortella in Corsica (1794) and it was his mistaken report on the apparent strength of the design which was instrumental in Martello towers being built all along the English coast. Rear Admiral (1 June 1795); Lord of the Admiralty (December 1795 to 1801); Member of the Committee of Conciliation dealing with Spithead and Nore mutinies (1797); Vice Admiral (14 February 1799); Commander in Chief, Plymouth (1804-9); Admiral (9 November 1805); Present at the Gambier court martial (1809); Commanded North Sea Squadron (1811-15). Made Knight of the Most Noble Order of the Bath (July 1814) which in the following year, on reconstruction of the order, became Grand Cross of Bath. Vice Admiral of the United Kingdom (1819). Unmarried. Died in London, 25 October 1821. SOPHIA (YOUNG): Born 20 August 1753. She died in 1818 and is buried St Anne's, Soho, London. JAMES (YOUNG): Vice Admiral. Born 1764. He married (23 April 1802) Charlotte Anne Fyers in Gibraltar, the daughter of Lt. Col. William Fyers. James received over £40,000 prize money from the capture of a Spanish treasure ship in October 1799 when he was in command of HMS Ethalion. Bought Barton End, Horsley, Gloucestershire from the proceeds. Took part in the attack on Copenhagen (1807). Thirteen children. He died 11 October 1833; Charlotte died 18 September 1850. CHARLOTTE: Born 30 December 1809. She married (9 July 1835) her first cousin Lt. James Frederick Elton of the 40th Foot (2nd Somersetshire Regiment) of Nailsworth, Gloucestershire. James died in 1844 and she then married (1849) James Kerr, a barrister; and she died on 5 July 1887. James Frederick was third son of Jacob Elton (1774-1856) by his first wife N56 Charlotte, the daughter of N51 James Young. There is a line from Thomas which extends to the present day. Thomas is the reputed illegitimate son of N51 James Young. The evidence is quite convincing but only circumstantial. JOHN: Born 4 November 1788. Of Puslinch and Coombe, Devon, and Burrell, Cornwall. Matriculated UniversityCollege aged 18 (12 June 1807); BA (1811); ordained deacon London (19 April 1821); ordained priest (21 December 1812). Married (25 March 1813) Alethea Henrietta, half sister of John Colborne (see Q3 Elizabeth) and daughter of Rev. Thomas Bargus (see Q15 William). Rector of Newton Ferrers (1813) up to his death on 23 August 1877. He is buried in the churchyard there with most other "Puslinch" Yonges. ELIZABETH: Born 7 March 1790, first daughter of the Rev. James Yonge of Puslinch, Rector of Newton Ferrers, by his second wife Anne, daughter of the Rev. Edmund Granger, of the Castle, Exeter. Married (21 June 1813) John Colborne by special license at Flaxley, Gloucestershire. He was the only son of Samuel Colborne, of Lyndhurst, Hants, by Cordelia Ann (who died 15 March 1791), only daughter of John Garstin (d. 1780) of Leragh Castle, Co. Westmeath, Ireland. John died, aged 85, at Valetta House, Torquay (17 April 1863), and was buried (24 April 1863), at Newton Ferrers among the Yonge family graves. Elizabeth died, aged 82, at Beechwood House, Devon (28 November 1872). John Colborne was a hero of Waterloo and was Lt. Governor of Upper Canada from 1828. In 1839 he became Baron Seaton, and in 1860 a Field Marshal in the British Army. A full biography can be found in, “The Life of John Colborne Field-Marshal Lord Seaton” by Smith, George Charles Moore, published in 1903 but still available in reproduction. MARY ANNE: Born about 1791; died 27 October 1852. Her occupation is described in her death certificate as “annuitant”, that means that she was in receipt of an income under a policy. JAMES: Born 1792. Matriculated BalliolCollege, Oxford (29th April 1811); BA (1815); Scholar (1812-17); Fellow of Exeter College (1817-23); MA (1818); Ordained priest (16 November 1817). He went to Edinburgh (1818) for three years under Bishop Sandford. Sub-tutor at Exeter College Oxford (from 1821); Curate at Shobbrooke (5 October 1822); Incumbent of St Johns, Torquay (1825-8); Rector of Stockleigh Pomeroy near Crediton, Devon (1826); perpetual Curate of Tormohun and Cockington, Devon (see also Q7 Jane) from 1828 until his death on 15 April 1830. Buried in CockingtonChurch. A NationalSchool in Torquay was built (1841) in his memory. He married (June 1823) Jane, daughter of Rev. Roger Mallock of Cockington Court, Devon. After James’ death, she subsequently married Reverend Robert Gee (1833), who had conducted her first marriage service and is buried in PaigntonChurch. EDMUND: Born 1795. Lived at Brixton, Devon. Entered Royal Navy 12 August 1808. Sailed and trained under Captain Zachary Mudge, passed his Lieutenant's examination at Plymouth (September 1814); Lieutenant (6 March 1815), reprimanded over loss of the Partridge (27 November 1824); sailed under Captain Stirling in HMS Success for Australia (June 1827). Commended for efforts in helping repair Success after grounding in Australia. Promoted to Commander (11 February 1830); appointed to the Melville, 74 guns, flagship of Sir John Gore, East India station (16 November 1830); Commander of H.M.S. Indus, 78 guns, (17 November 1840); Captain (23 November 1841); placed on half pay (26 January 1842). By deaths, became Rear Admiral (July 1855); Vice Admiral (24 May 1867). He married in 1835 Jane Ley, daughter of John Bennett of Sandwell, Devon. Edmund died 14 April 1868 and is buried in Newton Ferrers churchyard. His personal estate was just under £10,000. Probate by his wife and R7 Rev. Duke Yonge. His wife died 20 February 1881. They had one son, R12 James Edmund. JANE: Born 25th Feb 1796, daughter of P2 James Yonge and Anne Granger. She was second wife (after 1834) of Rev. Dr. Joseph Hemington Harris, MA and DD, who was born in London (1801). In 1829 he became Principal of The College of Upper Canada (UCC) which was founded by Sir John Colborne. The intention was that UCC would serve as a feeder school for the newly founded King's College (later the University of Toronto). UCC was modeled after the great public schools of Britain, most notably EtonCollege. 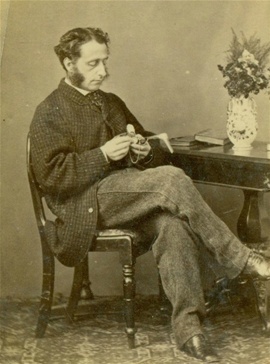 Joseph was incumbent of united parishes of Tormohun and Cockington, near Torquay, Devon from December 1848 to October 1879. He gave the last rites to Sir John Colborne. He published three sermons and religious tracts. They lived at Sorel (presumably named after the town in Quebec), Croft Road Tormohun. Jane died on 10 October 1879; and Joseph on 25 June 1881. Both are buried at what was St Saviour, Tormohun, but is now the Greek Orthodox Church of St Andrew. The grave still (2005) exists. He had one child by his first marriage. SUSANNAH: Born 1778, daughter of P3 Duke Yonge and Catherina Crawley; married Jerome Roach in 1825; and died 29 September 1832. No children. DUKE: Priest. Born 13 October 1779 at Yealmpton. Son of P3 Duke Yonge and Catherina Crawley. Admitted to Kings Cambridge as an Eton scholar (21 January 1799); Matriculated (Easter 1800); BA (1803); MA (1808); Fellow (1802-6); Vicar of Willoughton, Lincolnshire (1805-36); Vicar of Antony, Cornwall (1806-1836) and Rector of Newton Ferrers (1808-12). Married (14 May 1806) Cordelia, daughter of Samuel Colborne and Cordelia Anne (née Garstin) of Lyndhurst, Hampshire. She was the only full sister of John Colborne, later Baron Seaton (see Q2 and Q3). He died 29 July 1836 at the home of his brother Dr. Yonge at the Crescent, Plymouth and Cordelia died on 20 July 1856 aged 86. They had three sons and two daughters. One son, Frederick Duke, migrated to New Zealand. Duke wrote and translated an anonymous volume of verse entitled Cornish Carelessness, under name ‘Launcelot Pendennis’. He also wrote several songs, the music and accompaniments of which were composed by John Martin Muller, organist at St Paul's Episcopal Church, Edinburgh. CHARLES: Born 14 May 1781. Admitted at Kings College Cambridge as a scholar from Eton (14 December 1799); matriculated (Easter 1800); BA (1804); MA (1807); Fellow (1802-11); Priest. Assistant master at Eton (1803-29); lower master (1829-1830); then senior assistant UpperSchool. In line for headmastership if he had not fallen ill. Married (4 December 1810) Elizabeth, daughter of Joseph Lord of Pembroke, Wales. Charles died at Eton (July 1830). Elizabeth died aged 82 at Stokes Lodge, Bishopstoke on 13 January 1868. They had five sons and three daughters. He owned a large collection of antique maps which were purchased after his death by the British Library. CHARLOTTE: Born 22 June 1784. On 1st August 1806 she married her first cousin Capt. George Crawley, Royal Navy. They had one daughter. George Crawley was born 23 December 1781 and died at sea 5 March 1810, when in command of the brig Philomel. He was the fourth son of Sir Thomas Crawley-Boevey, second baronet, and of his wife Anne (née Savage) of Flaxley Abbey, Gloucestershire. Secondly she married (6 January 1825) the Rev. Thomas Jones DD, the rector of Exeter College Oxford. She died on 8 April 1836. CATHERINE(A): Born 23 April 1789. She married (29 August 1811) her first cousin, Rev. Charles Crawley who was born 28 November 1780. He went to Pembroke College Oxford where he obtained a BA in 1804. He was perpetual curate of Flaxley (1810-38); and vicar of Hartpury, Gloucester (1838-56). He was also an honorary canon of Gloucester Cathedral. He was the third son of Sir Thomas Crawley-Boevey, second baronet and Anne (née Savage). He died 17th January 1856; Catherine(a) died 2 January 1857. They had two sons and five daughters. R39 Charlotte Mary Yonge painted a watercolour of the church. JAMES: Doctor. Born 11 March 1793 and baptised 14 May 1793. Educated at Eton and matriculated ExeterCollege, Oxford (1 May 1811); BA (13 May 1815); MA (22 October 1817); B.Med from Edinburgh (8 June 1819); MD Oxford (20 June 1821). Accepted as Inceptor (beginner) Candidate of Royal College of Physicians (22 December 1819); a candidate (1 October 1821); and was made a Fellow (30 September 1822). Carried on practice in Plymouth. Physician to Plymouth Dispensary (1822); physician to Devon and CornwallHospital. Appointed one of the physicians of the Duke of Clarence (1827). Married (12 January or 20 February 1820) Margaret Crawley, daughter of Sir Thomas Crawley-Boevey, the second baronet. She was born on the 23 April 1786 and died on 22 April 1867. They had four children, all of whom died in infancy. He married secondly (25 August 1868) Anna Susannah at St Andrews Plymouth. She was daughter of George Couch of Ford, Devon, and was born 1802, and died 1894. James died of bronchitis on 3 January 1870. Lived latter years at the "Yonge" development of the Crescent, Devon - number 64. WILLIAM CRAWLEY: Born 5 June 1795 and baptised 26 June 1795, at Cornwood, Devon. Educated at Ottery St Mary and Eton. Ensign (14 May 1812); Lieutenant (29 April 1813); officer in the 52nd Regiment of Foot in the Peninsular War, and with First Battalion of the 52nd at Waterloo. Half pay (1818); Lieutenant Ireland (25 November 1819). He was a JP and served in local militia. He married, 25 October 1822, Frances "Fanny" Bargus. She was the daughter of the Reverend Thomas Bargus DD, Vicar of Barkway, Hertfordshire and Mary (née Kingsman); and half sister to Sir John Colborne. They lived at Otterbourne House, Otterbourne, Hampshire. William and Frances were the parents of the authoress R39 Charlotte Mary Yonge. William designed a new church at Otterbourne, partly financed by John Keble, and designed the church at Ampfield, Hampshire after 1836, which was financed by Sir William Heathcote of Hursley. He died of a stroke on 26 February 1854 at Otterbourne. His wife died in 1868. He wrote a privately-published account of the Battle of Waterloo. ANNE DUKE: Born on the 15 June 1800, the youngest child of P3 Duke Yonge and Catherina Crawley. She married (April 1831) Dr. Thomas Pode of Plympton Erle, Devon, the son of William Pode of Slade (Pode of Bonvilston) and his wife Jenny (née Lewis). Thomas was born 27 September 1799. They had five children. Their daughter R47 Charlotte Cordelia Pode married (26 August 1862) the R7 Rev. Duke Yonge of Puslinch and died 7 September 1929. Thomas died on 9 February 1857; Anne died 22 June 1845. JAMES (YOUNG): Born 15 March 1803 at South Malling, Sussex. Educated at Rugby. Married (1846) Anne Elizabeth Longworth. Served in the British Army and rose to the rank of Lieutenant Colonel. Retired to Cheltenham and died on 16 June 1882. His wife died on the day of his funeral. Estate valued at over £30,000. No children. WILLIAM FRANCIS (YOUNG): Born 1 June 1804. Joined Royal Navy (1818) and spent his early career mainly at the CapeStation. In a voyage from Reunion to the Cape (1824) in George IV, he was shipwrecked at MosselBay and then trekked some 300 miles by wagon to Cape Town. Lieutenant Royal Navy (3 January 1826). Served mainly in the Mediterranean and the Lisbon station. Last sea-going appointment ended in 1834 after which he was on half pay. He married Elizabeth Gist [or Grist?] 4 July 1836 daughter of Joseph Grist [or Gist?] of Wormington Grange, Gloucestershire. Lived in Cheltenham when he retired from the Royal Navy (1865) with rank of Commander and died there 4 August 1881. They had three daughters. HENRY (YOUNG): Born 21 July 1805 at Ringmer, Sussex. Educated Eton. Played in Eton First Eleven. Married (8 July 1833) Rosina Martin. Joined 14th Regiment of Foot (1826). Later Lieutenant in 24th Foot. He died 13 March 1866. SABINE (YOUNG): Born 27 July 1806. She married 1830, John Jervis Tucker (later Admiral) Royal Navy. In August 1844, in a typical Victorian-era action, a British naval squadron under his command blockaded three Peruvian warships and one transport at Islay, and then bombarded the port of Arica, before requesting reparations for certain offences committed against British interests. The Peruvians decided to avoid confrontation and signed a treaty that resolved the incident. On his retirement he leased TrematonCastle, Devon, from the Duchy of Cornwall - a Georgian house built in the grounds of a ruined Norman castle. Sabine died in 1873. There were children. EDWARD (YOUNG): Born 9 September 1808. Like his brother William Francis, he was a lieutenant in the Royal Navy. He died of an intestinal abscess on 11 October 1842 before the birth of his only daughter R101 Barbara. marriage? SOPHIA (YOUNG): Born 11 Dec 1811. Married (1837) Bartholomew James Sulivan. He was lieutenant on HMS Beagle on the voyage in which the naturalist, Charles Darwin, sailed around the world between 1831 and 1836. The Beagle visited South America, the Galapagos Islands and the Great Barrier Reef. The rich variety of animal and plant species that Darwin saw on the voyage led him to develop his theory of evolution. The voyage lasted nearly five years and became one of the most famous and important voyages of exploration ever made. Sulivan then surveyed the Falkland Islands in HMS Arrow (1838-9); Commander of HMS Philomel (1842-6); resided in the Falkland Islands with his wife Sophia and their young family (1848-51). During this time their eldest son James Young Falkland Sulivan was born. He is believed to be the first British subject born in the Falklands. This was at a time of rapid development in the Falklands; while Stanley only had 200 inhabitants the port had nearly 800 vessels calling a year. Sulivan commanded HMS Lightning in the Baltic (1854-5); naval officer in the marine department of the Board of Trade (1856-65); knighted (1869); Admiral (1877). Retired to Bournemouth. Admiral Sir Bartholomew James Sulivan KCB died 1 January 1890; Sophia died on 5 November 1890. They had three sons, all with naval connections. ELIZA (YOUNG): Married Rev. Samuel Lloyd, vicar of Horsley, Gloucestershire. JAMES: Born 1816. Educated Winchester. He died of consumption (22 November 1834) at the home of Q15 William Crawley Yonge at nearby Otterbourne. MARY: Born 1818. Lived at "Rochdale", Torr, Newton Ferrers. Died 2 April 1910. Her death certificate gives cause of death as "senility and exhaustion", and describes her as "a spinster of independent means". JOHN BARGUS: Born 22 November 1821. Matriculated ExeterCollege, Oxford (14 May 1840); BA (1844); MA (1847). He married (28 June 1848) Cordelia Anne Hay at DunseCastle, Berwick, fourth daughter of William Hay of DunseCastle. Was Captain of, and raised, the 7th Devon Mounted Rifles. Magistrate and Deputy Lieutenant of Devon. Died 12th November 1863 in Biarritz and is buried there. He is described in his probate as having no legitimate offspring. Wrote a diary of life in Puslinch for the year 1842. Family historian. DUKE: Born 23 June 1823. Matriculated ExeterCollegeOxford (28 April 1842); BA (1846); and MA (1849); Deacon (1847); Priest (1849). Curate of Thorverton, near Exeter (1847-9); and Newton Ferrers (1849); priest 1849-77. Patron and Rector of Newton Ferrers (1877-81). Succeeded to Puslinch. Married (26 August 1862) his second cousin R47 Charlotte Cordelia Pode, daughter of Thomas Julian Pode of Bonvilston, Glamorgan. Charlotte died 7 September 1929. Duke died 7 October 1881. They had six sons and four daughters. Photographic pioneer. ANNE: Born 1825; and died 1 September 1869. Her death certificate describes her as a "governess", the fate of many middle class girls with no prospect of an early or good marriage. EDMUND CHARLES: Born 11 August 1827. Matriculated from ExeterCollege, Oxford aged 18 (30 April 1846). He died of tuberculosis (15 January 1847) while convalescing with Charlotte Yonge's parents at Otterborne House. The south window over the door leading to OtterborneChurch, which depicts the nativity, is dedicated to Edmund. It was presented by his father Q2 Rev John Yonge. FRANCES ELIZABETH: Born 21 May 1829; died 4 December 1893. Slightly retarded as a result of childhood measles. JAMES EDMUND: Born 21 January 1843. Matriculated ExeterCollege, Oxford (11 June 1862). Married Julia Bray (22 November 1881) at Plympton St Mary. Aged 28, she was daughter of Richard and Barbara Cory of Langdon Court, Yealmpton, near Plymouth. Julia was born in Bloomsbury (the 1901 census entry “Bermondsey” is wrong), London. Richard Cory was a coal merchant in London and in the 1881 census is described as a widower and as a JP and landowner. James was commissioned as an Ensign in the 73rd (Perthshire) Regiment of Foot on 23 June 1865 and left on 16 October 1866. At this time the Regiment was based in England and also Ireland. He does not seem to have had any subsequent career. James died on 21 June 1911 and Julia on 9 January 1912, at which time they lived at 32 Elmbridge House, Plympton. The 1901 census shows a coachman, butler cook and housemaid in residence. CORDELIA ANNE DUKE: Born 25 November 1807, a daughter of Duke Yonge and Cordelia Colborne. She was married (12 March 1849) to Major General John Oldfield RA as his third wife. Officiating minister was John Yonge. John, born 29 May 1789 at Portsmouth, was son of John and Elizabeth Oldfield of Oldfield Lawn, Westbourne, near Chichester, West Sussex. JP. He rose to become ADC to Queen Victoria; he died 2 August 1863. John had fifteen children, but none by Cordelia. Cordelia died in August 1864. DUKE JOHN: Born 9 May 1809 at Antony, Cornwall. Educated at EtonCollege; matriculated OrielCollege, Oxford aged 17 (24 February 1827); admitted Sizar (an undergraduate who had his expenses paid) at Trinity College Cambridge (21 October 1828); BA New Inn Hall (1836). Priest. Curate of All Saints, Bolton, Lancashire; and (from 17 November 1836) minister of the Episcopal Church in Alloa, Scotland. Translator of works of Anacreon, Horace, Virgil, Sappho, Moschus, Ovid and others. He married (21 January 1840) Elizabeth (Eliza) Anne, daughter of John and Elizabeth Roberts at St Andrews, Plymouth. Elizabeth was born 31 May 1817. John Reed Roberts (who held a Portuguese knighthood, for reasons unknown) was a surgeon and played an important role in the outbreak of cholera in Plymouth in 1832. A snuff box presented to him in recognition of his role is inscribed: "To John Reed Roberts surgeon in testimony of the Gratitude and Esteem of his fellow townsmen for his humane and unceasing attention to the Poor during the awful visitation Malignant Cholera at Plymouth AD 1832." Roberts was also a naval surgeon and at one time was surgeon to the Queens Yacht "Royal Sovereign" and surgeon at the Royal Marine Infirmary, Pembroke. He later practiced at Osbournby, Lincolnshire. Duke died of lockjaw (10 January 1846) in Alloa, Scotland after he accidentally shot himself in his foot whilst out shooting with his Bishop. Elizabeth married secondly (8 April 1851), William Scott who was born on 8 October 1825 at Hartland, Devon; the marriage took place at Osbournby, Lincolnshire. First a priest, he then became a mathematics coach, and soon built up a good connection at the university. In April 1856 he accepted the position of colonial astronomer in New South Wales. Scott and his family arrived at Sydney on 31 October. In 1862 Scott resigned as astronomer because of ill health. He became headmaster of the Cook's River collegiate school. In 1878, criticism by the college council caused him to resign. He then took various country parishes. He revisited England in 1888 and, apart from some teaching engagements, lived in retirement on his return to Australia. Scott died 29 March 1917. Elizabeth had three sons by Duke John and two of their children, S12 Arthur and S13 Walter, followed her in the 1860s and established two continuing branches of the Family in Australia. The third son, S11 Duke Doughton, died in Ireland aged 34 (1874), but his infant son later came out to Australia, probably to be looked after by his grandmother. Elizabeth also had a son and two daughters by Scott. Elizabeth died 10 November 1903. JOHN FRANCIS DUKE: Born 30 January 1814. He married (October 1839) Elizabeth Birt Alice, née Holmes, in Brussels. She had been widowed twice. First she married a man called Mercer; then a Colonel Reed of the 62nd (Wilts and Dorset) Foot. Colonel Reed served in India from 1830 and died in England in 1836. John Francis Duke had three children by his first marriage, two of whom emigrated to the USA. Elizabeth died in Plymouth (8 February 1863). John then married (19 July 1869) Mary, the daughter of David Jones of Plymstock, Devon. A Medical Practitioner in Plymouth. He was said to have had "one pill for every ill". He became a Roman Catholic in the 1850's. During the French invasion scare of the 1860s, he served in the 2nd Devon Volunteer Regiment. A photograph exists of him in uniform. Lived at Plymouth, and LadyePark at Liskeard where he died of prostate cancer on 25 December 1879. FREDERICK DUKE: Born 25 March 1816. Lieutenant Royal Navy; flag officer to Admiral Fanshaw (1855), but was dismissed for "disgraceful conduct" when he went absent without leave in the West Indies (1855). In the same year he moved to New Zealand and founded the Yonge family there. He married (26 April 1859) Charlotte, daughter of Dr Andrews of Plymouth and then of Auckland, at St Stephens Chapel, Taurua, with the Rev. David Jones MA officiating. Frederick died 25 March 1889; Charlotte died in Auckland 6 August 1922. They had eight children. ALETHEA DUKE: Born 11 March 1817. She married (8 October 1842) Maj. Edward Bond of the 53rd Regiment and ADC to Queen Victoria. He served for a period in India. Alethea died 18 February 1847; Edward died 4 July 1880. ARTHUR DUKE: Born 11 June 1825. Matriculated ExeterCollege, Oxford (30 May 1839). Married (1870) Lucy, daughter of John Williams of Bruges, Belgium, who died April 1879. Landscape artist, Especially scenes in Guernsey, the Meuse, and Cornwall. Exhibited at the RoyalAcademy. He lived in Hastings in latter years. He possibly converted to Rome. He died (1909) in London. He had one daughter, Alethea, who predeceased him, dying in 1903 at Vevey Switzerland. CHARLES DUKE: Born 30 November 1812 at Eton, the son of Q10 Rev. Charles Yonge and Elizabeth née Lord. Educated at Eton; matriculated Easter 1831; foundation scholar, KingsCollege, Cambridge (from 24 February 1831 to 1833). Refused admission to his fellowship at Kings on appeal to the visitors (24 February 1834), so migrated to St Mary's Hall, Oxford where he matriculated (17 May 1834); BA Oxford (1835); MA (1874). Made bankrupt while a student. Cricket blue, Oxford Eleven (1836). Married Anne, daughter of James Vincent Bethel of Hereford on 15 August 1837. He was a private tutor until 1866. From 11 October 1866 to his death, he was Regius Professor of Modern History and English Literature at Queens College Belfast. Fellow of Royal UniversityIreland from 1882. Granted a Civil List pension of £75 (4 Oct 1858), and other dates, in consideration of his literary works. Author of "Our Great Naval Commanders" and many other pedestrian historical, classical, and classical-language books. Active member of the Primrose League. A director of University's glasshouses. Exhibitor at flower shows. Charles died of influenza on his birthday, 30 November 1891 and is buried in Drumbeg Churchyard near Belfast. No children. JOHN EYRE: Born 10 April 1818, a younger brother of R20 Charles Duke. Educated at Eton and admitted at Kings College Cambridge as scholar from Eton (26 September 1836 to 1839). Fellow (1839 to December 1844); BA (1841); and MA (1844). Assistant master at Eton (1840 to 1875). Ordained Deacon (1843) and ordained priest by Bishop of Lincoln (1844). Curate of Stowmarket, Suffolk and Loders, Dorset (1875 to 1876); Chaplain to Lord de Lisle, Rector of Hempstead, with Lessingham, Stalham, Norfolk (November 1876 to his death); and Rural Dean of Happing division of Waxham deanery (1881 to death). He married (19 December 1844) the Hon. Catherine Charlotte Lysaght, at Eton College Chapel. Born 25 September 1822, she was second daughter of George Lysaght of Shottisham rectory, Suffolk; 4th Baron Lisle of Mount Worth, County Cork, and cousin of S25 Denys Nelson. He died at Hempstead Rectory, aged 72, on 11 June 1890. An obituary was published in the Times. Administration was granted to his wife (31 July 1890). She died 22 December 1905. They had three sons and five daughters. John was an author of various works on Horace, including the Complete Works (1867); Scriptores Graeci (selection from Greek prose writers with notes in English) (1868); and Ciceronis Epistolae and an Exposition of the Apostles Creed (1887). CHARLOTTE FRANCES: Born 1819. She married (9 November 1841) the Rev. John Finch Mason at St George's Hanover Square; he was of Brignall, Yorkshire and Aldenham Lodge, Hertfordshire. Charlotte died 28 September 1860; John died on 16th December 1874. They had six sons and seven daughters. JAMES ARTHUR: Born 9 March 1822 at Eton, the third son of Rev. Charles Yonge, and brother of R19 Charles Duke and R20 Elizabeth Catherina. Educated at Eton (1829-41); head of school (1841); Admitted as scholar from Eton at Kings College Cambridge (28 July 1841); Fellow (1844-60); Camden Medal (1843); BA (1846); and MA (1849). Admitted to MiddleTemple (20 November 1844); barrister of InnerTemple (6 June 1853). He married (28 August 1860) Hannah, daughter of Andrew Rogers of Kilkie and Dublin, Ireland at St Mary's Bryanston Square, London. Judge on the Western Circuit. Recorder of Barnstaple and Bideford (February 1860 to death). Died at the vicarage, Connemara, CountyCork on 2 September 1864. Obituary published in the Law Times. On his death, Hannah remarried. They had no children. GEORGE EDWARD: Born 4 July 1824 at Eton, the fourth son of Rev. C. Yonge. He entered Eton (1841); Eton cricket XI fast bowler (1841-4), and captain (1843); Capt. of Trinity College, Oxford; Oxford cricket XI (1844-5), and captain (1848). Berkshire County XI (1853); matriculated aged 19 at TrinityCollege (8 July 1843); BA (1848); MA (1850); barrister MiddleTemple (1853); Treasurer of Southampton (Hants) County. Married (6 October 1859) Lucy, daughter of Gideon Acland of Tiverton, Devon. One son, George Acland, who was born 23 September 1868, and died 6 October 1870. George died at Stoke Lodge, Bishopstoke Eastleigh, Hampshire on 8 December 1904. GEORGIANA: Born 12 Sept 1810. She married (1 January 1831) the Rev. Hugh Polson (born 1808) of Bourton-on-the-Water, Gloucestershire and later of Woolstone, Berkshire. They had three sons and two daughters: Catherina and Georgiana. She died 30 September 1892. Charles Yonge Crawley: Priest. Born 2 March 1813 the son of the Rev. Charles Crawley and Q12 Catherine née Yonge. Married Harriet Wintle; they had one son and one daughter: Charles and Harriet. Minor Canon of Gloucester Cathedral, and rector of Taynton, Gloucestershire. Died 5 June 1875. Mary Crawley: Born December 1821 at Flaxley, the daughter of the Rev. Charles Crawley and Q12 Catherina née Yonge. She married (4 October 1870) the Rev. Henry Crawley, fourth son of the Rev. John Lloyd Crawley of Heyford. Henry was born in July 1813 at Heyford. He went to Balliol, Oxford where he received a BA (1836); and MA (1842). Rector of Stowe Nine Churches (1849-95). He died in 1895. Mary was John’s second wife. She died 9 April 1892. CATHERINA DUKE: Born August 1814. Married (28 July 1864) the Reverend Henry Low, a Fellow of Exeter College, who died 18 November the same year. She died 22nd Jan 1885. AUGUSTACRAWLEY: Born about 1830, the daughter of Reverend Charles Crawley and his wife Q12 Catherina née Yonge. She married her first cousin R41 John Duke Pode on 30 August 1860. Died June 1900. JAMES: Born 30 August 1822 and died of atrophy (wasting away through imperfect nourishment) on 29 June 1831. CHARLOTTE MARY: Born 13 August 1823 in Otterbourne, Hampshire, the daughter of Q15 William Crawley. Confirmed (1838) under the guidance of John Keble. Wrote, edited and translated some 400 books, both fiction and non fiction. Her first work, "Abbeychurch" was published in 1844. Her most famous work was, “the Heir of Redclyffe" (1853). Editor of "The Monthly Packet" a journal for girls (1851-98). Gave monies to local church and school and financed construction of the neighbouring Pitt chapel (licensed 31 March 1838). Supporter of the Oxford movement. Wrote a biography of Bishop Patteson (1875) and helped finance his Melanesian mission from book sales. Lived all her life at Otterbourne, Hampshire and never married. She died at Otterbourne of pleurisy 24 March 1901. JULIAN BARGUS: Born 31 Jan 1830, the brother of R39 Charlotte Mary. Educated at Eton; went to BalliolCollege, Oxford; matriculated aged 18 (10 April 1848); obtained SLC (1851); BA, ExeterCollege, Oxford (1853); and MA (1855); student MiddleTemple (1855). Purchased commission as 2nd Lieutenant Second battalion Rifle Brigade (17 October 1851); Lieutenant (6 June 1854); went to Crimea (14 September 1854); but left again in October, probably due to sunstroke. Missed the battle of Alma. Left the British Army (10 November 1854) and spent most of the rest of his life in Otterbourne, Hampshire. JP, County of Southampton; and churchwarden. Married (25 August 1858) Emma Frances, the daughter of Col. Edward Walter of 3rd Bombay Light Cavalry, of Lincolns House, Eastleigh, Hampshire. They had three sons and two daughters. He lost his money in a failed coal company in Yorkshire and had to be rescued by his sister. He died in London 17 October 1891; his wife died in Torquay in August 1913. Anna Catherina Pode: Born October 1837. Married (30 July 1861) William John Woollcombe, a solicitor of Plympton Erle. She died 1913. There were no children. Charles Coleridge Pode: Born 3 April 1841. Scholar at ExeterCollege, Oxford; BA; and MA. He died 25 May 1873. Edward Pode: Born 26 September 1842, he was the youngest child of Thomas Julian Pode and his wife Q16 Anne Duke née Yonge. He went to ExeterCollege, Oxford. Married (6 October 1866) Elizabeth Davey, daughter of Richard Clifton of Ashwater, Devon. Elizabeth died 13 May 1883. Edward married secondly Lilla Telfer in 1893. He died 1902. BARBARA ANNETTE RHODES (YOUNG): Born 1842 and died of typhoid fever 20 May 1876. KATHERINE: Born 5 August 1863. Married May 1886 Adam William Thorburn Steer, son of Charles William Steer of Bradfield, St Annes, Port Maria, Jamaica. She died 16 March 1895. JOHN: Born 18 December 1864, of Puslinch and Coombe, Devon; and Burrell, Cornwall. Educated Winchester; matriculated WorcesterCollege, Oxford (25 January 1884); BA (1888). Married (7 September 1899) Vera Vaughan, youngest daughter of Vaughan Holberton of Newton Ferrers. In the First World War he was officer in charge of PuslinchVoluntaryAidedHospital and corporal in the 2nd Volunteer Battalion Devonshire Regiment, a WWI "Home Guard" unit. JP. Succeeded to Puslinch. Hobbies included boating, shooting and fishing. He died 26 May 1946. They had no children, so left Puslinch to T10 Philip Evelyn third son of S6 James Upton Yonge and Millicent Wood. Vera died 11 March 1960. CHARLES BURRELL: Born 6 April 1866. Educated at ForestSchool, Walthamstow, Essex; rowing VIII cox; matriculated KebleCollege, Oxford (14 October 1884); BA (1887); WellsTheologicalCollege (1888); Deacon (1889); Priest (1890); and MA (1891). Assistant curate of St Paul's Worcester (1889-91). Rector of Newton Ferrers (1891-1940) when his elder brother S2 John Yonge was patron. JP and chaplain to High Sheriff of Devon. Married (14 June 1899) Catherine Ada Helena, daughter of George Edward Bowen of Portaferrry Co. Down. He died 30 November 1943. Ada died on 30 October 1966. He planted the cyclamen in Newton Ferrers Churchyard. Wrote histories of Puslinch and Newton Ferrers. GEOFFREY: Born 20 September 1867. Educated at Winchester; BA and a 4th in Theology, KebleCollege, Oxford (1891); deacon; curate at Old Swindon (1890-2); St Luke's, Gloucester (1892-3); and St John's, Truro (1893). He never married. He died of tuberculosis on 24 December 1893. DUKE MOHUN: Born 18 April 1869 at the Court House, Newton Ferrers. Educated at StubbingtonSchool, Fareham; and ForestSchool, Walthamstow, Essex. Solicitor (April 1893). Partner in law firm of Woollcombe and Yonge - the firm still exists. Married (20 September 1894) to Isabella Sydney, daughter of George Bowen of Portaferry at Portaferry, Ireland. She was the sister of Catherine Ada (see S3). Lived at West Park, Yealmpton. Hobbies gardening, shooting and fishing. Their only son T6 Geoffrey Bowen died of wounds in France, November 1918. Duke died 1 November 1948; and Isabella died 21 March 1954. JAMES UPTON: Born 17 July 1872. Educated RoyalGrammar School, Sheffield; Cadet at HMS Britannia, Dartmouth, and in the class of July 1887 came 11th out of 26. Midshipman Royal Navy (1887-91); KebleCollege, Oxford, BA (1897); MA (1901). Married (27 April 1905) (Ethel) Vaughan Millicent, the eldest daughter of Edward Joshua Wood BA, MB, doctor, of Lees Lodge, Yalding, Kent, and Ethel née Holberton, the elder sister of Vera (see S2). Millicent was born 12 July 1880. He was at Chancellors School, Truro (1897); Deacon, Truro (1898); Priest, Crediton (1899); Curate of Torpoint (1898-1900); Curate of Almondsbury, Gloucestershire (1900-04); Curate in charge of Merifield, Antony, Cornwall (1904-5); Madagascan Diocesan secretary (1907-10); Principal of St Paul's College Ambatoharanana, Madagascar (1905-15); Vicar of St Goran, Cornwall (1916-1929); Rector of St Mawgan with St Martin in Meneage, Cornwall (1929-1945); Honourary Canon of St Germoe, Truro Cathedral (1936-45); Canon Emeritus (1945); Rural dean of Kerrier, near Camborne, Cornwall (1932-6 and 1942-45). Millicent died 29 July 1957; James died 5 October 1958. They had six sons. CORDELIA ELIZABETH: Born 8 March 1874. Lived at South Brent Devon. She married (20 August 1903) Ven. Cyril Price, MA Oxon, the son of the Rev. Thomas Price of Claverdon Rectory, Warwickshire. Cyril was born on the 12 March 1866. He was educated at KingEdwardsSchool, Birmingham; and WorcesterCollege, Oxford. Chaplain in HMS Ecclesiastical Establishment of Bengal (1903); Archdeacon of Nagpur, India (1910-19); then Vicar of Eckington, Worcester; and then of Birlingham, near Pershore, Worcestershire. Cyril died 29 August 1943; and Cordelia died October 1958. AMBROSE PODE: born 19 Feb 1878 at Puslinch. Educated ExeterCollege, Oxford; qualified as doctor (1907); LRCP London (18 December 1907); MB and DM; BCh, Oxford (Oxford and St ThomasHospital) (1908); MRCS (1909); Hon Medical Officer StJohnsHospital, Twickenham; Medical officer, Post Office; Police medical officer; divisional police surgeon. House surgeon RoyalBerkshireHospital (1908-10). Captain RAMC (April 1915-17), he served in Malta from 9th June 1915 (at the time of the Gallipoli campaign) and France at Arras (at the tail end of the Battle of the Somme) from 6th November 1916. He was awarded the standard Victory and British Medals. Lived at Lanark House, 54 London Road, Twickenham, Middlesex, where he set up his medical practice before joining the RAMC. When he returned from the war he found most of his patients had moved to other doctors and he had to build up the practice again. Keen photographer. Married (20 June 1911) Isabel Eva, daughter of Robert Tyndale Haws, who was born 31 March 1879. At the time Ambrose married, she was living in Teddington, quite close to his home in Twickenham. She was a nurse at the RoyalBerkshireHospital in Reading where he was practising as a newly-graduated doctor. He died of cancer (26 February 1956) at Elburton, Devon. Isabel died of cancer (3 August 1959) in Lee, London SE12. DOROTHEA: Born 1870. She married (20 October 1898) Dr. Frank George Layton, son of the Rev. Henry Layton. Rev. Henry was Classics Scholar at QueensCollege, Cambridge. He held various clerical positions; lastly vicar of St Stephens, Hounslow, Middlesex. Dr. Frank was MRCS, LRCI London (St Thomas) (1894); then physician (asst. surgeon, Walsall and DistrictHospital). Surgeon to Druids, Wesleyan and General and other assurance companies. Member BMA. Lecturer at Walsall Science and Art Institute; house physician, Great Ormond Street Children's Hospital; house physician, Brompton Hospital for Consumption and diseases of the chest; clinical assistant Ear Department; and House physician at St Thomas. Consultant. Wrote novels with a medical background and also, "Case of temporary Loss of Vision" Middlesex Medical Journal (1902); "Diachylon Poisoning" BMA Journal (1903) and, "Case of Tubercular Peritonitis with Abdominal Cyst" Birmingham Medical review (1903). They lived at Sutton Coldfield, Warwickshire. Frank died in 1941; Dorothea died in 1968. They had five children, T23 to T27. DUKE DOUTON: Born 9 November 1840 was the first child of Duke John and Elizabeth Robert and was the brother of S12 Arthur and S13 Walter. Joined the Royal Navy as a midshipman; served in the Crimea; then at the bombardment of the Taku Forts in the second Opium War (1860); then posted to Australasia. One of the few survivors from the wreck of HMS Orpheus off New Zealand (1863); reached rank of Lieutenant. Temporary service on Transports (1867). Seconded to Coast Guard in north-west Ireland (HMS Valiant) (1870). Married (24 October 1868) Georgina Braine at Plympton St Mary. Predeceased by his wife and died in Ireland "on active service" on 20 February 1874. They had one son, T28 Duke John, who settled in Australia. ARTHUR KENNETH DUKE: Born 1843 in Alloa, Scotland and educated at Eton and Cambridge (senior wrangler). He went out to Australia in the 1860s with his brother, S13 Walter. Married (25 February 1874) Flora Macadam in Brisbane, and founded one of three branches of the Yonge family in that country. With his brother S13 Walter he first tried sheep farming at Terrawinnaba, Goondiwindi - a border town, with its own customs post, on the Queensland and New South Wales border. After that venture failed due to a bank crash, depression and drought in the 1890s, they moved to Pittsworth, Queensland and established the Puslinch Dairy; but that too was never a real success. He then helped to establish a bank in the area. He died 31 January 1912. WALTER FRANCIS DUKE: Born 1844. He migrated to Australia at the same time as his brother, S12 Arthur, and farmed with him as the "junior partner”. He was the first school-teacher in the district. Married (28 April 1880) Lucy Williamson and founded another branch of the family in Australia. He lived latterly in Darling Downs, Queensland. He died in 1924. FRANCIS ARTHUR HOLMES (known as Frank): Born 15 June 1840. Ensign without purchase in the 24th (2nd Warwickshire) Regiment (24 October 1858 to April 1861). The regiment had been re-founded in Sheffield in June 1858 and was based at Aldershot until February 1860 when it went to Cork. From March 1860 it was in Mauritius. He married (1862) Amelie, younger daughter of Adolphe de Terasson, in Mauritius. She was born in France. Frank died in poverty in the east end of London in 1880. They had three children: T46 Arthur Holmes born 1863; T47 Peter (Pierre) born 1865; and T48 Eugene Stephen. JAMES FREDERICK MOORE: Born 8 March 1842 in Koblenz, Rhineland Palatinate, Germany, then part of the independent state of Bavaria. He lived in England until aged 6; and was then educated in France for a time. Believed to have been a soloist in the Roman Catholic Cathedral Boys choir, Plymouth. On his mother's death (1863) he went to Australia from Plymouth and worked briefly on sheep farm with S12 and S13. Arrived in San Francisco (20 October 1868); believed to have traveled to Yosemite with artist William Hill as driver or herdsman or expedition cook (1870/1). Moved to Vancouver (1873); and then to Lakeport, California (1875) where he married (3 April 1875) Hellena (also called Helene in adulthood) Frances, daughter of David Lorenzo Brittain of Lakeport California and Eleanor née Thomas. Hellena was born 14 February 1857 in Missouri and in same year traveled across the Great Plains to California in a covered wagon. At the time of their marriage, Hellena was aged 18 and James was 33. James became a US national on 6 October 1876. He was a pharmacist by profession but also a telegraph operator. Family legend states his wife's art brought in more money than his pharmacy. They lived for 10 years in Tombstone, Arizona and was there at the time of the gunfight at the ‘OK Corral’. Their two children, Arthur and Eleanor were born there. They moved to San Francisco and were present during the 1906 earthquake. The San Francisco Call reported that Hellena committed suicide on 21 September 1907, however there is no indication on her death certificate that she committed suicide. On a family copy there is a pencilled notation, "possible plague" and the family story is that she contracted the plague while nursing victims of the 1906 San Francisco earthquake. She was buried in a Roman Catholic Cemetery after a Roman Catholic Requiem Mass, which is inconsistent with suicide. James died (19 November 1910) and is buried in the same cemetery. STEPHEN DUKE: Born 1 March 1845 in Koblenz, Germany. For a time he managed a tea plantation in Assam. He married (1866) Madeline, fourth daughter of Lt. Col. Smith of the Bombay Native Infantry and his wife, née Brayne, of Plympton Lodge, Devon, in the Roman Catholic Cathedral of St Mary and St Boniface at Plymstock. Madeline was born (5 April 1845) in India. Stephen left England (late 1870) and arrived by train in San Francisco (October 1870) with his wife, two children and a nurse. He owned or managed various plum orchards in California. Madeline had come over for her health, but she died (19 November 1872) in Lakeport California. He died (23 November 1912) in Victoria, Vancouver Island. FREDERICK JOHN (DUKE): Born 21 December 1860 at Otahuhu, New Zealand. He married Ellen Gray. He died 31 December 1918. A noted amateur race-horse rider. They had one daughter who died in infancy. ARTHUR DUKE: Born 1861 in Otahuhu, New Zealand. He was the second son of R16 F.D. Yonge. Was educated at the Church-of-EnglandGrammar School, Parnell; and later the AucklandGrammar School. On leaving school he joined the Union Bank of Australia, then farmed at Tamaki. Later in life he was with the Australian Provincial Assurance Company. He was for many years a well-known member of the Pakuranga Hunt Club and a keen polo player. He never married; and died 11 May 1928. ELEANOR LOUISE (known as Nellie): Born 1871. She married William G. Scott, a noted surgeon and public vaccinator for Auckland and area, in Auckland. She died 1956. No children. CYRIL DUKE: Born 12 Jan 1876 in Auckland. He married Maud Donaldson of Australia (but of Irish ancestry). She was born 27 November 1875. In his youth, Cyril worked in the gold-mining industry crushing the ore. He died 4 June 1966. Maud died 26 April 1967. ALETHEA: Born 8 October 1871 in Florence. Wrote a novel, unpublished. She predeceased her father (R18), dying after a long illness (30 September 1903) at Vevey, Switzerland. MARY ISABEL: Born 1848 at Eton. Married (20 August 1872) Rev. Denys Nelson Yonge, BA, son of Frederick Langford William Yonge (of the Caynton Yonge`s) and Isabel née Foulkes of Medland, Devon. Denys was born 26 February 1836 at Torrington Devon; he was a second cousin of Lord Nelson.. Educated Eton; Christ's College, Cambridge, BA (1859); ordained Deacon, Oxford (1860); curate of Shootesbroke, Berkshire (1860-4); Lamorbey, Kent (1864-5); Englefield, Berks (1865-9); vicar of Broxted, near Chelmsford, Essex (1869-85); vicar of Boreham, near Chelmsford, Essex (1885 to 1918); and Diocesan Inspector of Schools for Essex. Mary died November 1915. Denys died (9 October 1920) at his last home, 93 Upper Terrace, Springfield, Chelmsford, Essex. They had five children: T59 Frederick John (1874); T60 Philip Caynton (1877); T61 Denys Wilberforce (1880); T62 Isabel Margaret (1882); T63 Horace Langford (1883). GEORGE: Born 10 October 1850. Educated Eton. Admitted pens (aged 18) at Trinity Hall, Cambridge (August 1869); matriculated Michs. (1869); scholar (1870); BA 21st Wrangler and 2nd class (National Science) (1873); and MA (1877). Ordained deacon, Winchester (1875); priest (1876); curate of Carisbrooke, Isle of Wight (1875-9); curate of Yorktown, Surrey (1879-1882); curate of Sparham, Norfolk (1882-93). Vicar of Hullavington, Chippenham, Wiltshire; patron EtonCollege (1893-1905); rector of Newtimber, Hassocks, Sussex (1905-18). He married (17 July 1883) Ann Norgate. His father-in-law the Rev. Thomas Sparling Norgate was rector of Sparham, Norfolk (1840-1894). Ann died on 30 May 1927. George’s last appointment was rector of Cranleigh, Surrey. He lived at Wanborough Lane, Cranleigh where he died on 9 May 1929. They had two sons and two daughters. JOHN HARRY: Born 30 March 1854. He married (4 April 1883) Emma Caroline Isabel, daughter of Dr. James Sherlock. John was a solicitor practicing in Worcester. Emma died 11 September 1917. John died 1934. LUCY SARAH: Born 1854. She married (28 December 1882) the Rev. John Paget Davies, MA, Rector of Twineham, Haywards Heath, Sussex; and Street, near Lewis, East Sussex. She died 28 December 1905. They had one daughter, T69 Catherine Mildred Davies. CHARLES FRANCIS LYSAGHT: Born 11 October 1858. Deacon (1887); priest (1888); curate at Harwich (1887-88); and Sawbridgeworth, Hertfordshire (1888-9); Rector of Shottisham, Suffolk (1891-1908); Diocesan Inspector of schools, Norwich diocese (1904-8); Vicar of Cressing, Essex (1908-10); vicar of West Mersea, Colchester. Charles died June 1933. HELEN EMMA: Born 1860. Niece of R39 Charlotte Mary Yonge. Lived at Lincolns in Eastleigh, Hampshire, her mothers home before she married. She inherited many of Charlotte Mary Yonge's possessions. Helen died in 1940. FRANCIS ARTHUR: Born 23 November 1861. He married (Oct 1892) Edith Louise Isabel, daughter of Pringle Shortride. They had one son who probably died in infancy. They moved to America in 1902 and lived at Hillside Farm, Fairfax County, Virginia where Francis farmed in a small way. One daughter, Gwendoline, who was probably adopted, married Layman E. Jones before 1915. Francis died 11 January 1918. MAURICE EDWARD: Born 26 March 1867. He married (19 April 1899) Maude, younger daughter of Lt. Col. Woods of Llandaff, Glamorgan. He lived at Kiln House Otterbourne. JP. Maurice died 6 April 1940; Maude and Maurice are buried in Otterbourne churchyard, close to his aunt, R39 Charlotte Mary Yonge. LOUISA ALETHEA: Born 1863, niece of R39 Charlotte Mary Yonge. She married (7 August 1884) the Rev. Henry Albany Bowles. He was vicar, first of Arlington, Devon; then of Otterbourne, Hants; then of ChristChurch, Epsom. Children: Reginald Julian Albany; Phyllis Alan; Marjorie Joan Georgina; Margaret Ernestine; and Cicely Gertrude. Continuing descendants. GEORGE ALAN DAVID: Born 1 March 1861, nephew of R39 Charlotte Mary Yonge. Served in the Matabele War of 1896: Squadron Sgt. Major in Colonel Plummer's Rhodesia Regiment, part of Baden Powell’s forces: was in Queen Victoria's diamond Jubilee parade though London. Previously with the Cape Mounted Police. He was killed in action at Rhodes Drift, Crocodile River, near the Limpopo River, Rhodesia, on 21 or 22 October 1899. JOANNA ANGELA: Born 1873, niece of R39 Charlotte Mary Yonge. She married (October 1894) Captain Charles Francis Cromie. He was with 1st Bn. Hampshire Regiment; and then was HM Consul General, French West Africa, based in Dakar in Senegal. He died (7 October 1907) aged 50 at Bomaa, a river port in the southern part of what was then the Belgium Congo, now the Democratic republic of the Congo. They had two children: Maurice Francis, born 31 July 1895; Lieutenant 3rd Bn. Hampshire Regiment; killed Gallipoli 4 June 1915: and Henry Julian, born October 1896, Captain 3rd Bn. Hampshire Regiment; killed on the Somme 23 October 1916. GRACE: Born 2 April 1900. Lived at Black Torr, Yealmpton. Died 3 September 1992. EILEEN MARY: Born 11 September 1901. Served in Royal Air Force in World War II. Taught at the Highlands School, Kenya. The need for a girls' high school for the white settlers in Eastern Africa saw the founding of the high school in 1954 with the name New Girls' High School. The school was later renamed The Highlands School. The HighlandsSchool triumphed both in academic and sports in the 1950's and 1960's. Eileen retired to Rye, East Sussex; and died 3 June 1989. DUKE EDMUND: Born 2 July 1903. Educated MountHouseSchool, Tavistock and Sherborne. He married (11 August 1932) Nancy Mary "Robin" daughter of the Rev. William Marsh Lee Evans, Rector of Saxby, Lincolnshire. Joined Royal Air Force three months before World War II. Served in Balloon Command at Hull. In 1944 his unit was moved to southern England to help block attacks of V1 flying bombs. Posted to Denmark at end of War to help remove German facilities and personnel. Had been expected to inherit Puslinch. After the war he joined White & Sons of Hull, importers of oranges and other fruits, initially on a temporary basis but stayed on to become managing director. Lived at Boynton House, Boynton, Bridlington, Yorkshire. Two sons and a daughter. MARY CATHERINE: Born 22 September 1908. She married (29 August 1939) Thomas, son of Anthony O’Donovan from Limerick, Ireland who was born 15 February 1901. Thomas died 15 September 1966. Lived at Eton Villas, Chalk Farm, North London. GEOFFREY BOWEN: Born 28 November 1898. Educated MountHouse, Plymouth; and Berkhamstead, Hertfordshire where head boy. 2nd Lieutenant "C" Company 1/5 Bt. Devon Regiment. Went out to France in last days of war, wounded in MormalForest and died at a military hospital in France, aged 19, on 21 November 1918. His mother went out to visit him before his death. Buried at St Server Cemetery, near Rouen. Awarded standard Victory and British Medals.